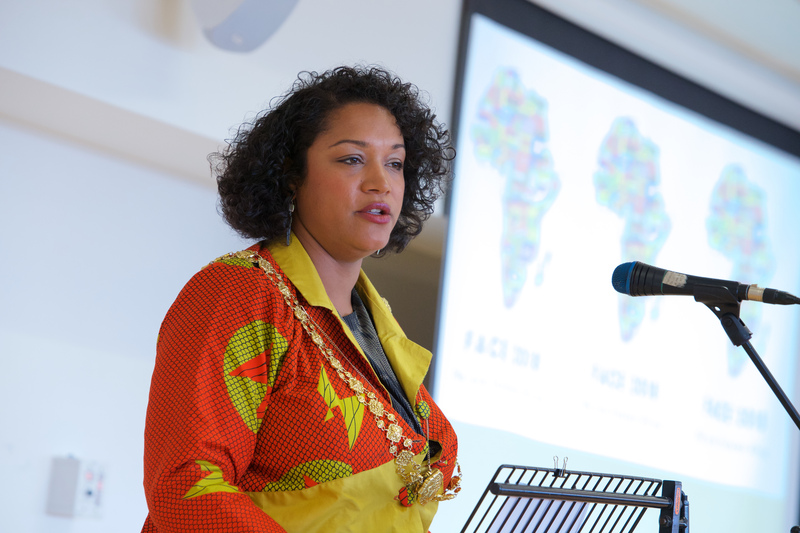 FACE has a knowledge-based vision for creative Pan-Africanism and we were certainly looking forward to introducing this vision to all our delegates. Two days before the Launch of FACE 2018, the weather forecast predicted rain…But lo and behold, launch day arrived and the sun emerged in all its glory! 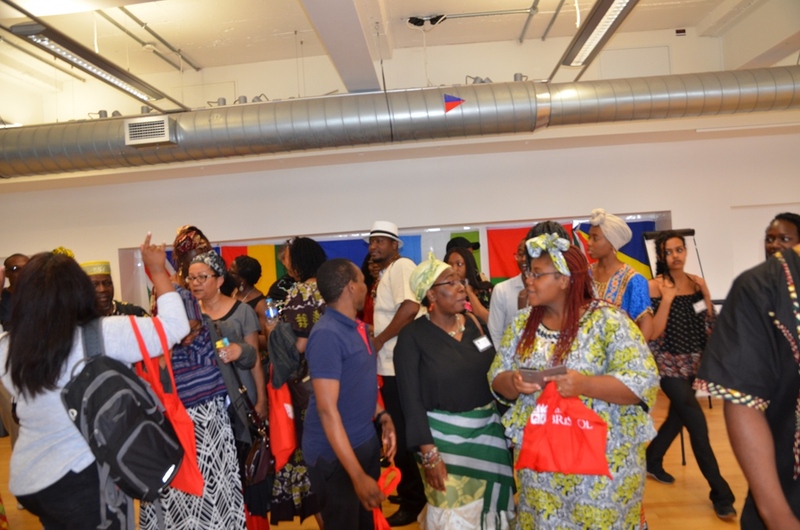 And so did all our delegates, proudly dressed in a wide array of African attire. And we were off! A full downloadable copy of the programme booklet including information about the speakers, organising team and the vision of FACE can be found here. But a short summary will now follow. Put on your seat-belts. The launch was opened by the Rt Hon Lord Mayor of Bristol, Cllr Cleo Lake. 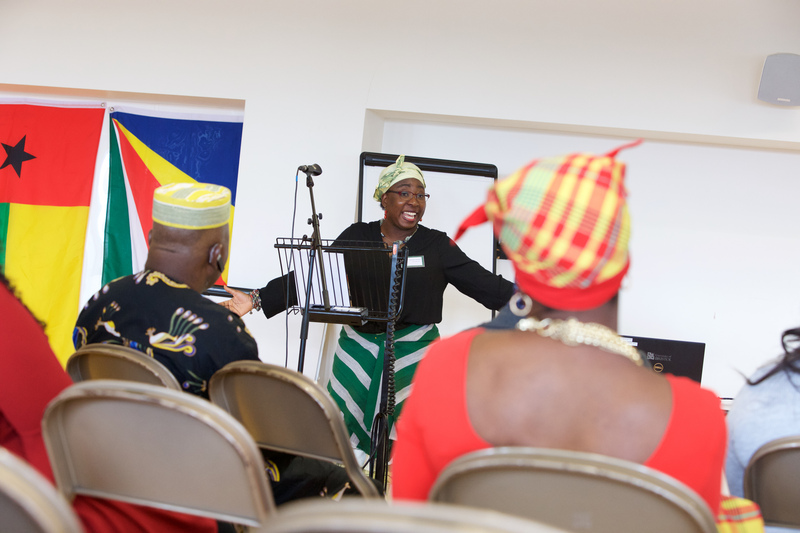 She spoke about the culture that binds the African community together. She urged the community to create a meaningful narrative to advance the community story. The Lord Mayor was very eager to attend the launch of FACE and despite leaving briefly for another appointment returned for the rest of the program and stayed till the end. We were so glad for her presence and the delegates and student organisers got to meet her and eat lunch with her. We do not often get to say that we ate lunch with the Lord Mayor of a major UK city. 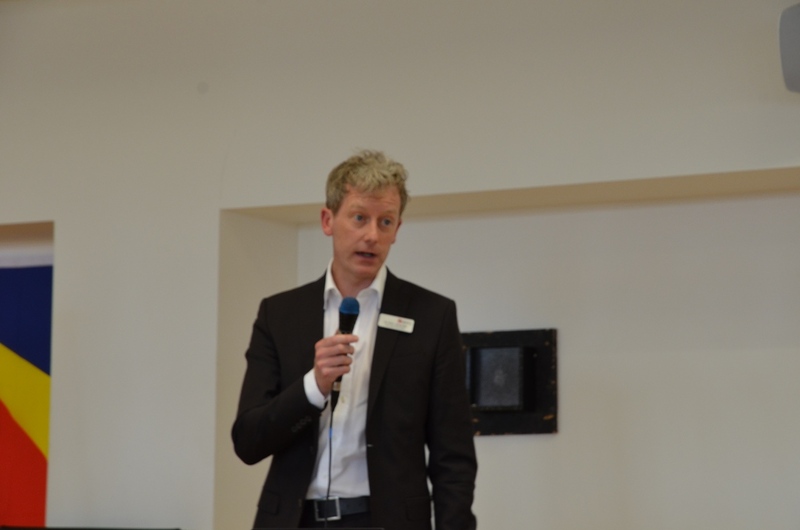 After the Lord Mayor’s warm exhortation, I gave a brief introduction to the vision of FACE. The full text of that vision can be found here. In my vision statement, I explained why in the UN Decade for People of Africa Descent, it is important that universities contribute to the conversation of improving our Pan-African student experience and employment prospects and ensure that our research does not erase but contribute equally to the knowledge of ALL humanity. As a teacher and researcher committed to decolonising educational curricula and institutions, as well as eradicating the ‘attainment’ gap, my vision for the world is one in which African peoples, knowledges and cultures, regain a sense of place that is uniquely ours. And FACE is committed to that. Knowledge is power, but we must remember that it is often those who have power that determine what knowledge is. As the episteme always precedes the war machine, the episteme must be at the forefront of undoing the effects of centuries of historical violence inflicted by this constantly evolving machine. Ndubisi Offonry and Nathan Obayori – past and current presidents of University of Bristol Afro-Caribbean Society. The student panel shared their experiences of being Black students on campus and what they think causes the attainment gap. 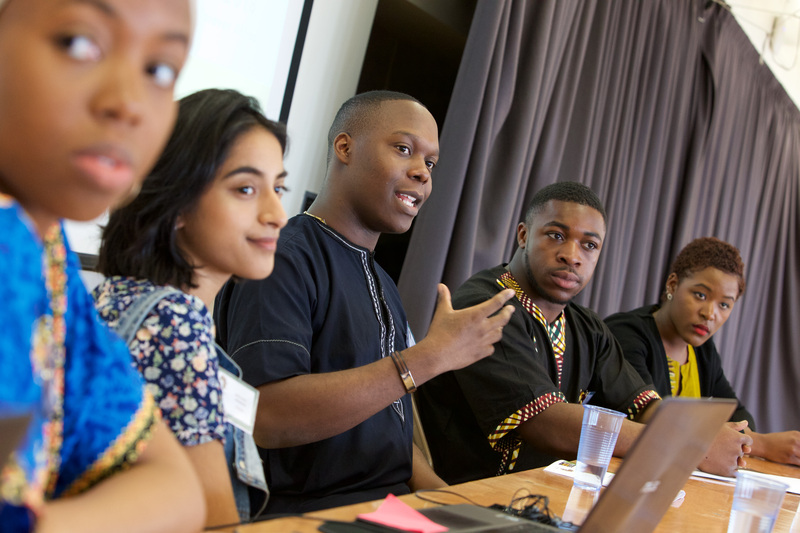 They talked about feeling isolated, being the only black person in class, having no black lecturers, being subject to ‘dodgy comments,’ having to explain their ‘blackness’ and being racially profiled on campus and in the city. They expressed willingness to learn more about Pan-Africanism and contribute to it. They talked about working to connect with Pan-African alumni, pushing careers events, doing outreach work, which are all things FACE values. On how we decolonise the curriculum? On how to confront the ‘attainment’ gap? Aisha: Attainment gap arises as a result of racism, cultural insensitivity, racial isolation, combined with mental health issues. We have to address all the forgoing AND the curriculum. Representation is the biggest thing. It is important to see someone who looks like you teach you. It helps students to engage. Dubi: Black students may not have the same access to resources or connections or the awareness of how to get into the professions they want to get into. They find out about those gaps when they get into university and also find out about alternative career paths they may have preferred to take. This may cause them to lose motivation. Nathan: There needs to be more mentoring and closer monitoring to ensure that students feel at home. We need to build a university community. We need to ensure the welfare and mental health of black students. Allow black students to be themselves. People need to be educated about things that make black people feel uncomfortable. End discrimination and unconscious racism. Eva: Foster a community where people can feel safe to share their experiences of racism. We need BME staff within the mental health profession. The academic panel talked about the varying forms that decolonising takes especially as a response to the attainment gap. A strong vein throughout that panel was the need for structural change and how to address structural inertia, both in the UK and on the continent of Africa. Grace: Most African researchers self-fund their own research. North-South scientific research collaborations dominate, there should be more intra-African collaboration. There is an underrepresentation of scientific research done in Africa. A scientific research journal, Scientific African, (backed by Elsevier) is being launched to give African scientific researchers a platform. Efforts must be made to stem the brain-drain of African research. Eghosa: In initially designing the African Union Law unit, having black senior lecturers was instrumental in resourcing the new unit. He was able to bring his own experience of environmental justice in Nigeria; this was helpful in bringing Southern knowledge to his teaching. Students were surprised to hear that there were oil spills in Nigeria and Peru. There is a dearth of research about the pre-colonial legal systems that existed in Africa. Africans must own their research. The early European scholars of Africa did not see Africans as people. The AU recognises the African Diaspora as an integral part of itself. Foluke: Every discipline must think about how it was developed and must challenge itself to decolonize. Every discipline has a history of navigating what it means to be human and that is where the fault-lines of subjectivity lie. And those must be interrogated. Massive shout out to Dr Marie Annick Gournet and Moestak Hussein who both stepped up at very short notice to fill in for Sado Jirde who could not make it at the last minute due to unexpected reasons. 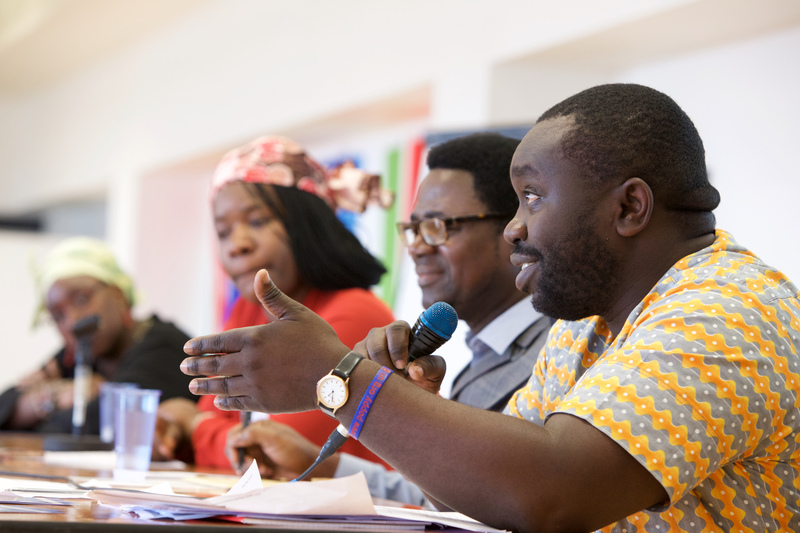 The social activism panel contextualised what individual Pan-Africanism means in big world terms, especial in context of marking the International Decade for People of African Descent, proclaimed by General Assembly resolution 68/237 and to be observed from 2015 to 2024. Marie-Annick: Was born in Guadeloupe but moved to France at the age of 7. She had a very racist headteacher who did not expect much from black students and did not want any black students in their school. That experience made her determined not to be defined by anyone. As the chair of BSWN, she has a passion of closing the attainment gap as well as motivating aspiration and creating awareness of opportunities. BSWN is important because it enables black people in the South West to have a voice. Moestak: Marie-Annick does a lot of work to close the attainment gap. Moestak talksed about being a child refugee in Kenya. Post-colonial feminism illustrates how African women do so much for the continent around health and child welfare. Pan-Africanism means community. For example we need to talk together about how policies criminalise African diasporic communities. It is important to network and volunteer. This is how we build community. Co-produced research is about creating new knowledge with African communities in a way that centres the community. We should take advantage of that. Kofi: Whatever you do as student activists, you must seek to transform the educational institutions. That will have an impact on Africa and the world. Pan-Africanism is not just something to theorise about. It is one of the wealthiest theories. Pan-Africanism is the recognition that African people need to organise themselves together to confront external pressures and this has been a constant of African history from earliest times and from the continent. Basil Davidson’s ‘The African Genius‘, talks about how African civilisations were pacesetters. Davidson’s scholarship of Africa should be commemorated. Decolonisation means stripping the colonial imprint from a people. It means acknowledging that Africans created knowledge. African graduates must focus their energies on African survival. Citing Frantz Fanon: Are going to pursue a Pan-Africanism for ourselves or are we going to pursue a Euro-Africa? Euro-Africa – An Africa that decimates itself and Africa that is the subject of history not the maker of history. David: Pan-Africanism is the idea that African people will have common interests and must unify. Citing the variants of the Pan-African vision of Blyden, Du Bois, Padmore and Garvey, Dravie-John talked about the various attempts to create a Black Utopia on the continent. Kwame Nkrumah of Ghana was one of the most important Pan-African voices. The toxic North-South relations are a hindrance to this. The UN Decade of people of African Descent gives member states a blueprint for improving the conditions of black people around the world. Bristol should acknowledge the contributions of black people and the role of the city in black history including the slave trade. The panel also responded to a question about the absence of historically black colleges and universities in the UK. They all thought it was a really good and appealing idea but may be economically, psychologically and legally challenging. Though Kofi said that all these things can be changed and we must bear the cost of that through our solidarity and channelling resources, because our efforts must develop our communities. Dravie-John said we will encounter resistance to change, but we must persist and empower and encourage and educate ourselves. Yaas! Its been a long time coming! Ife: His talk was comprised of stories that illustrate how what we do is often more important than what we say. And what we do not say may have great impact as well. The abolition of slavery is celebrated but the way in which is was done is not spoken about, for example, the creation of Sierra Leone, the compensation of slave owners. Also, African representation is almost exclusively focused on refugee communities. All these have an impact on inclusivity, voices are left out. For communication to make sense, entire communities have to be involved in the dialogue. Why do we have such clever Nigerians in the UK and they are not clever in Nigeria? Lots of Nigerians get distinctions at universities in the UK, so we know that Nigerians are clever. When a European goes to Africa he is an expatriate; when an African comes to Europe he is an immigrant. What if Africans in Europe were treated as expatriates? How we think of our communities has consequences for how we operate within them, it determines what we accept and what we reject. Sola: Sola talked about his time as a Mandela fellow and his experience of meeting Obama and discussing African brain-drain with him. There is no ‘we’ without individual action. 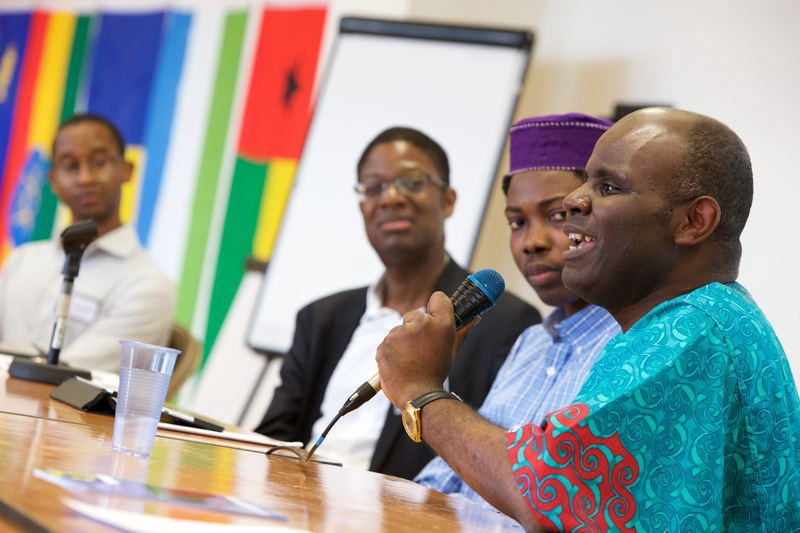 Pan-African action requires breaking our movement down to the individual and family group. There must be individual action to result in collective drive. We respond to our narratives from a vulnerable and submissive point of view, so we give others the right to tell our stories the way they want to. We continue to feed this vulnerability. We need to value ourselves and each other. History is important to forecast our future. That is true freedom. That is true Pan-Africanism. Africans must chart a new future, where we have a table which we can invite Europeans to. 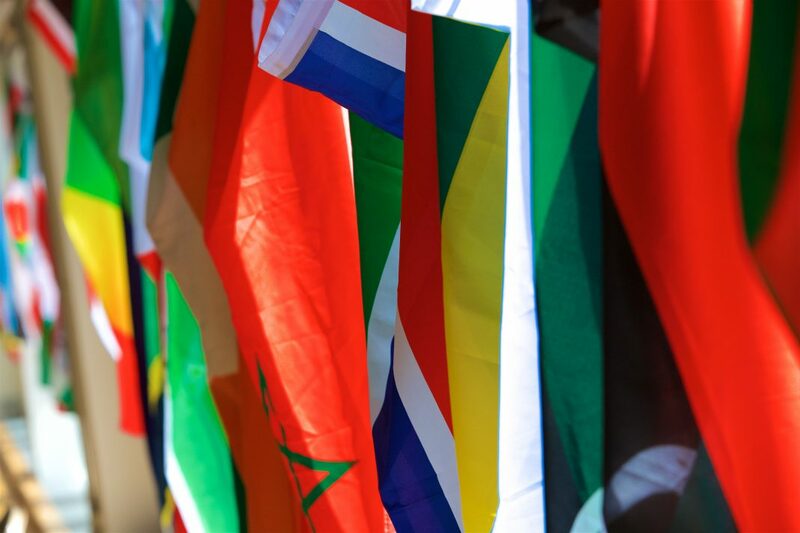 At the moment International Development involves Africans fighting to sit at the European table; we fail to recognise the value of what Africa has. Africa has most of the world natural and human resources. Africa is where the future is, but we need to make it the future that we want. So colonial education systems and government systems must be reformed. Karl: Karl used his personal journey to illustrate how to overcome the education and economic attainment gaps. His parents were part of the Windrush generation, and Karl is Bristol born and bred. Despite coming from humble beginnings his parents told him to aim high. So he decided to study law, but getting work proved difficult because he had no connections or networks. He kept getting rejections. He shared this experience with his barber who put him in touch with a local black solicitor who mentored him and advised him. He finally got a training contract. His own experiences taught him that our unique experiences, our unique backgrounds should be our unique selling point. We should not be afraid to be a pioneer. We need positive networks and examples. 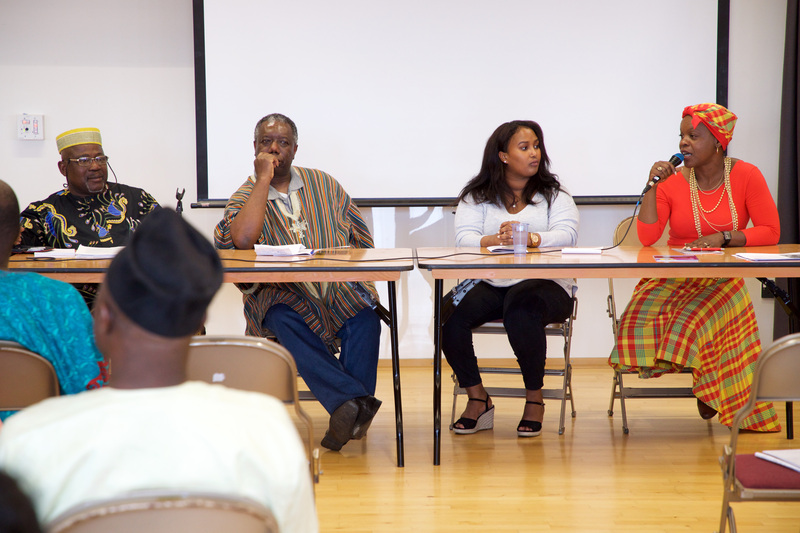 In between the panels we had an authentic African lunch catered by In His Hands Catering Services, Bristol. Being able to provide African fried and jollof rice at the event was a triumph for the organisers as many of the university’s venues require us to use non-African caterers.. And a massive thanks to the caterer for providing a friendly, reliable and efficient service. One of our delegates says, “Although I wasn’t born on the continent, I define as African” Yes!!! The closing remarks were given by University of Bristol Pro Vice-Chancellor (International and Student Recruitment) Dr Erik Lithander. He said FACE is such a meaningful initiative which is important to the university and has the university’s support. He told us about the university’s plans for a Global Lounge which would be a multicultural space that FACE could use free of charge in future. Thank you! A massive thank you to the International Office and the Law School, both of the University of Bristol, for footing the entire bill for this event and for believing in the vision of FACE. Without them, all this would not have happened. Throughout the day people were tremendously engaged with the panels, there were lively discussions about charting a way forward together and how this could be done. The programme had opportunities for networking structured into it and many of the delegates have communicated how useful this was for them. One of FACE aims is to enable connections to be made across sectors, especially within sectors that would not normally communicate. I was delighted and overjoyed to see the student members of the organising team be completely committed to an initiative which before the launch was only a vision and a dream. Their joy and enthusiasm were gratifying. I am really proud to say that I worked with them. They are committed, organised, articulate and passionate about their visions. I must make particular mention of Seun Matiluko (Law student) who designed FACE’s logo which is on everything! We hope to showcase more of our students’ talents in the future. The feedback from delegates has been extremely positive. Even though we ended at 5pm, very many of the delegates continued networking till much later in the day. (They also helped to tidy up. Thank you!) A number of people who heard about the event afterwards have offered a wide range of services to contribute to the development of FACE. There have also been invitations to talk and write about FACE. More information about these will follow as they are confirmed. We hope to have an African dinner and award night to mark the end of FACE 2019. We hope to produce a regular newsletter of FACE’s events in due course. What can you do to support FACE? If you an academic, business person, career coach or other professional, there will be more opportunities to showcase pan-African businesses at the next FACE, e.g. there will be space for black booksellers, fashion items, Pan-African food at the next FACE. Contact the FACE director, (email below). Contact early as space will be limited. Bring your business cards. If you are at another university and you would like us to partner with you to host a Pan-African event. Let us know. Email below! Follow us on social media, interact and share. Tell people! We hope to keep tickets free at point of sale. So to fund all the above and to help to publicise FACE we have set up a gofundme page for FACE. We would appreciate it if you could share our gofundme as widely as possible. Let people know that we are happening and our gofundme is happening. This is a Pan-African initiative which is founded on traditional principles of African philosophy. Ubuntu. I am because you are. Ujamaa. We are one African family. We succeed by doing things together. Give £5 and send the link to 5 people. Or give nothing and send the link to 10 people or 20. Keep sending, keep telling people. Give what you can. We are forever Africa. FACE is our community project and over and above financial contributions, we desire that you give of your time, your influence, your talent, your enthusiasm. We need to all have a stake in each other’s success. We have got this. 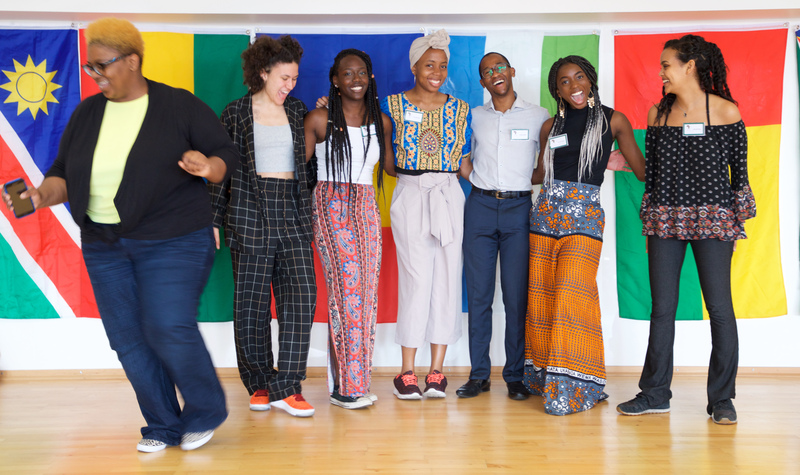 Most importantly we want anyone who wants to be involved in the vision of FACE to contact us by emailing foluke.adebisi@bristol.ac.uk. There is a lot to be done, but there are enough of us to do it. We just have to put our energies behind our ideas. We look forward to hearing from you and working together. We are forever Africa.